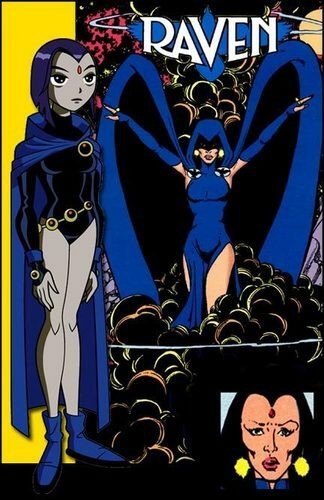 Raven looks better how they drew her in the cartoon. She looks pretty ok in the comic but she dooesnt even look like a teen!! The larger comic version of Raven actually looks pretty similar to the cartoon,give or take a few details.